High Roller Society is proud to welcome and host this unique group exhibition, curated by PhD researcher Esther F. Castelo with the collaboration of BRK192 and the kind support of Montana. 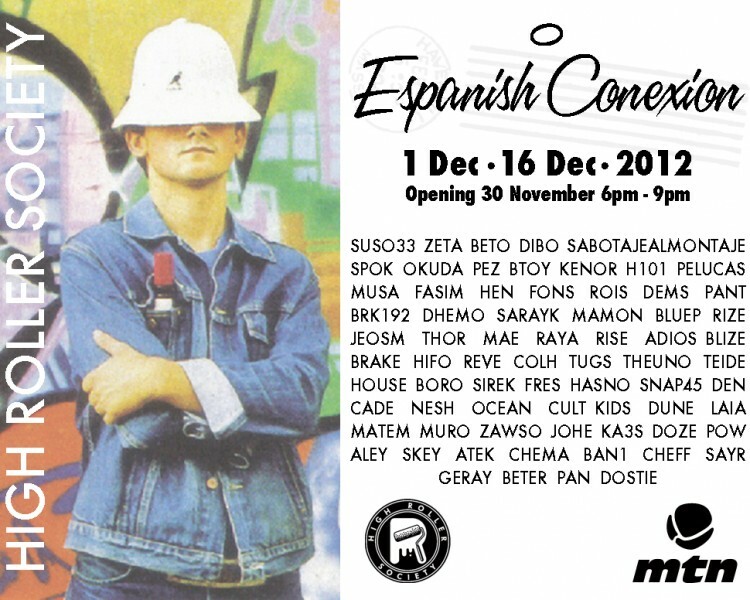 Espanish Conexion will showcase more than 70 artists who represent the very best of Spanish Art from the Streets. You can expect a wide variety of styles, from the ‘Classic Graffiti’ popularised in Madrid to Barcelona´s own bright, happy, colourful styles… from Black Book pieces to the most current innovative video art… Espanish Conexion opens the door for a generation of artists that are currently transforming the face of contemporary Spain art.